"There is danger in dreaming. But there is even more danger in waking up. The plot thickens as new quests are underway and the search for Maura begins. 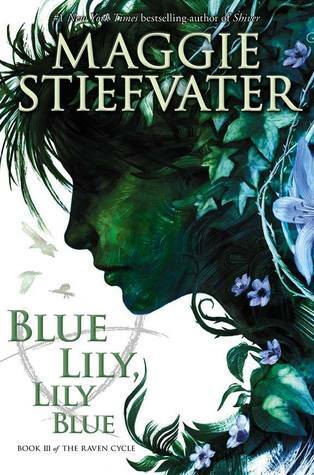 Blue and the boys are still on the search for Glendower, and dealing with their own secrets and other’s problems, all while starting a new school year. In essence everyone has something they’re searching for; Gansey has Glendower, Adam has the expanse of Cabswater, Ronan has the extent of his dreams, and Blue has Maura. Together, their determination force is multiplied tenfold. The closer they seem to come to finding Glendower, the thicker the tension becomes and the weirder things get as they learn of the Three Sleepers, which includes one they must wake, and one they must leave asleep. It is when they finally realize that they need to look outside Cabswater to find their aspirations, that things progress, as well as get dangerous. In terms of development goes, although the book lagged on in the first half, the rest was very pleasant, and thrilling. I really enjoyed seeing Blue come into her own and begin to understand more about herself. I didn’t really see the importance of Malory needing to be physically present in this story, but he adds a little odd humor. The boys have a new, yet familiar, latin teacher with ulterior motives, and as it turns out creates a major plot recharge that may or may not reshape the grand scheme of things. Everybody has a wish to ask upon waking Glendower, and in my opinion, with Adam wanting to “ask for Gansey’s life,” I can see that as being taken literally, thus Adam actually causing Gansey’s death, as per his vision. Although it’s an interesting concept to think about for the next book, I don’t think it will be that simple, and I’m quite interested in seeing how that particular may lay out. I mean... the author told us what would happen to Gansey in the first book, did she not? I suppose I should’ve looked into the series more, but I was surprised to see that this was not the last book of The Raven Cycle. With all the talk of the holy power of “Three” in this book, I thought that this third book would be the last, but it became quite obvious, reading on, that it would continue. This would explain the lag (which I’ve found common in second books of trilogies,) and the build up of suspense towards the end. I greatly anticipate the next book of the series, as it draws to an end with hopefully more great plot twists and, I’m sure, heartache.